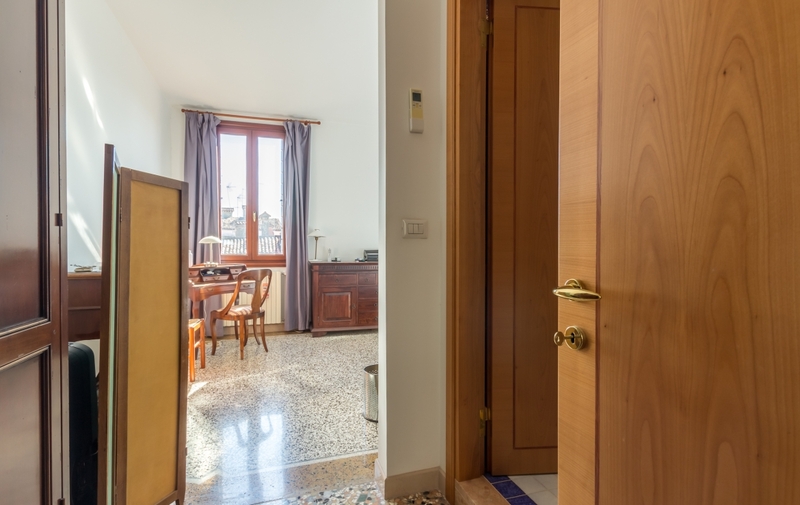 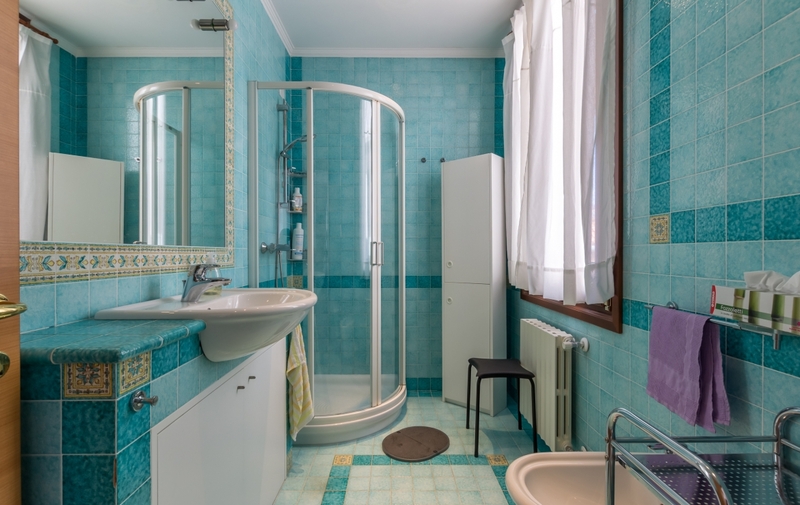 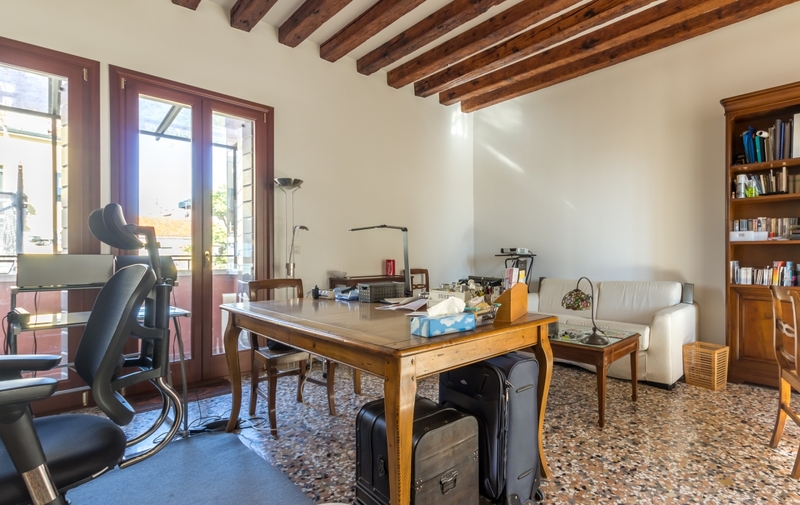 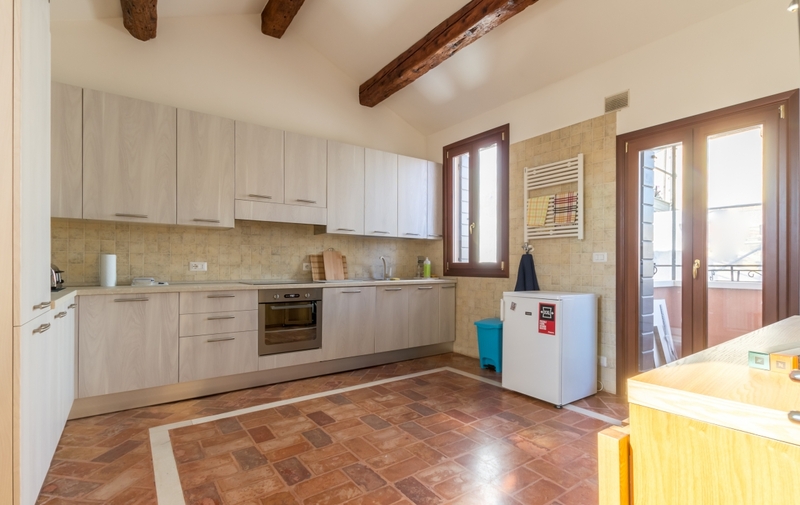 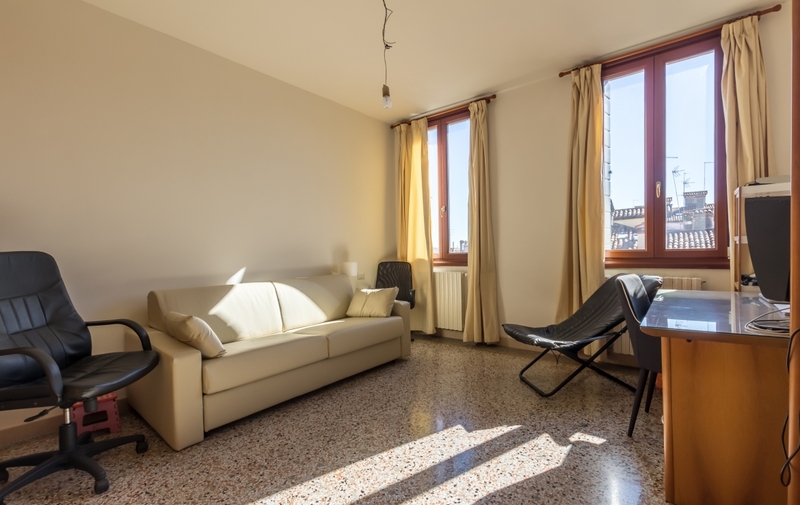 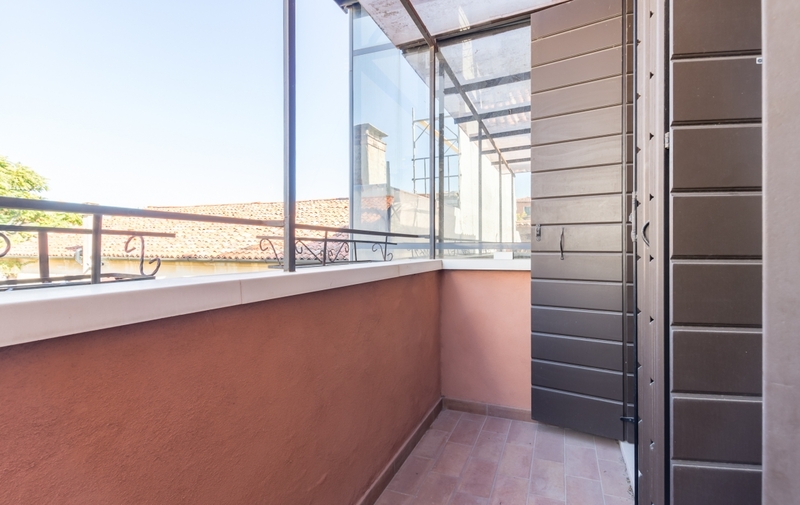 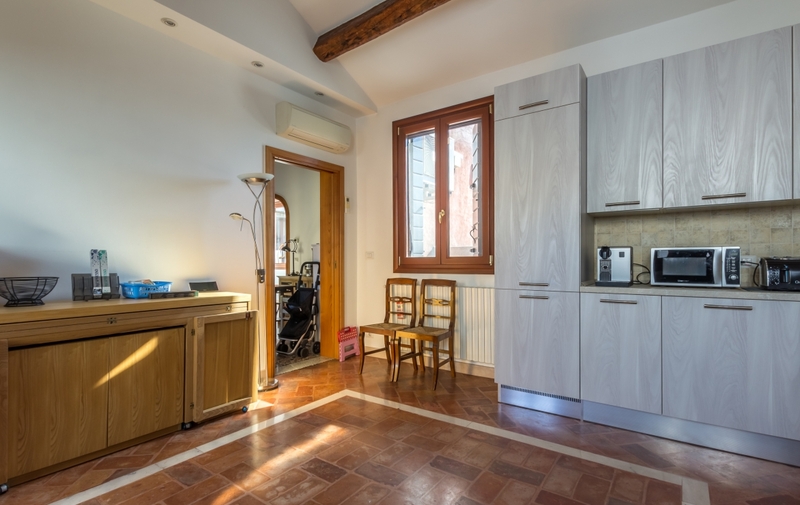 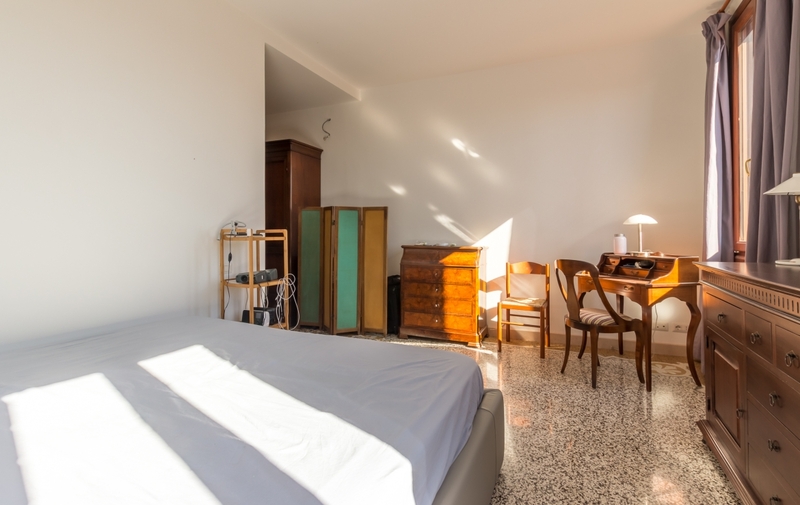 Located in the prestigious residential district of Dorsoduro, close to the Zattere promenade and the Accademia Galleries, Ca’ Venier is a very sunny apartment that has been recently restored and enjoys a beautiful view all around over roof tops, bell towers and a canal. 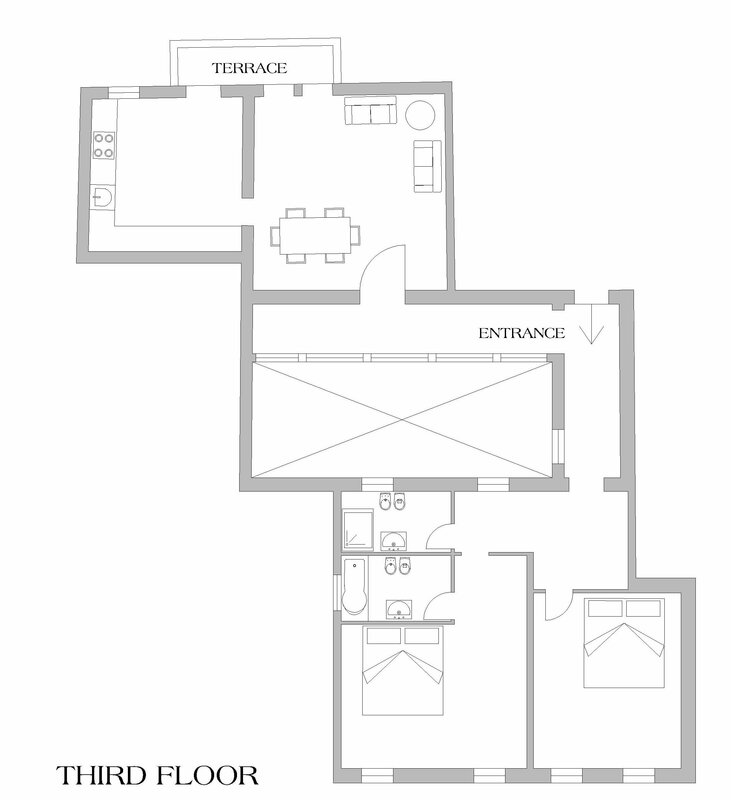 The property on the third floor with lift, comprises; an entrance, a living room, a wide kitchen-dining room, and a laundry. 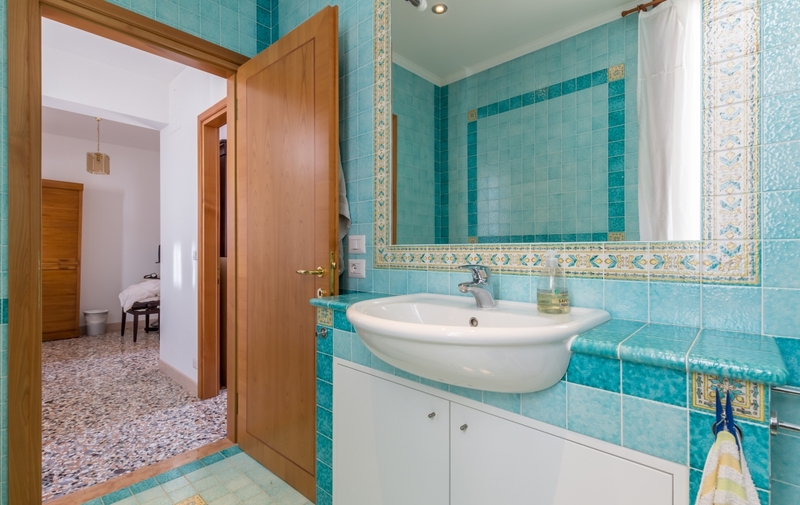 The bedroom area is composed of: a master bedroom with en-suite bathroom and a second double bedroom with another bathroom. 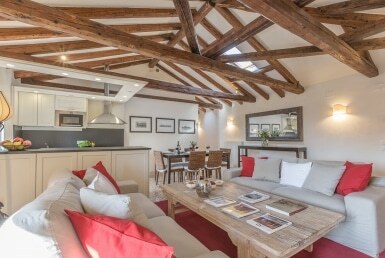 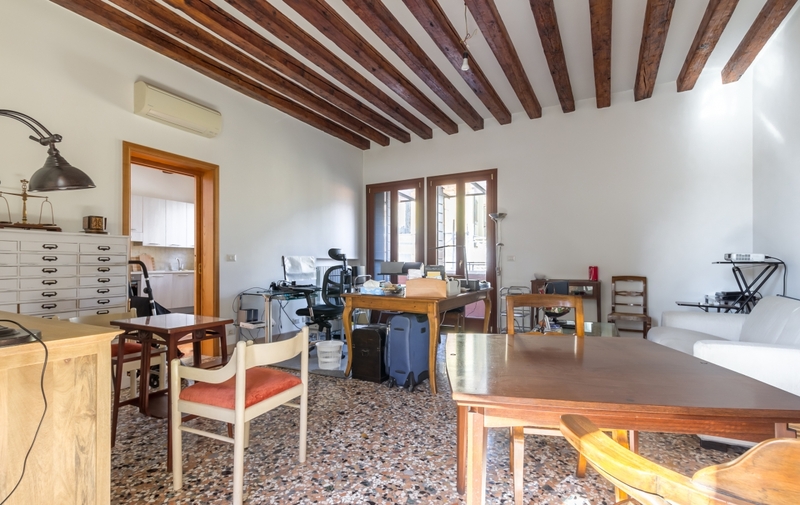 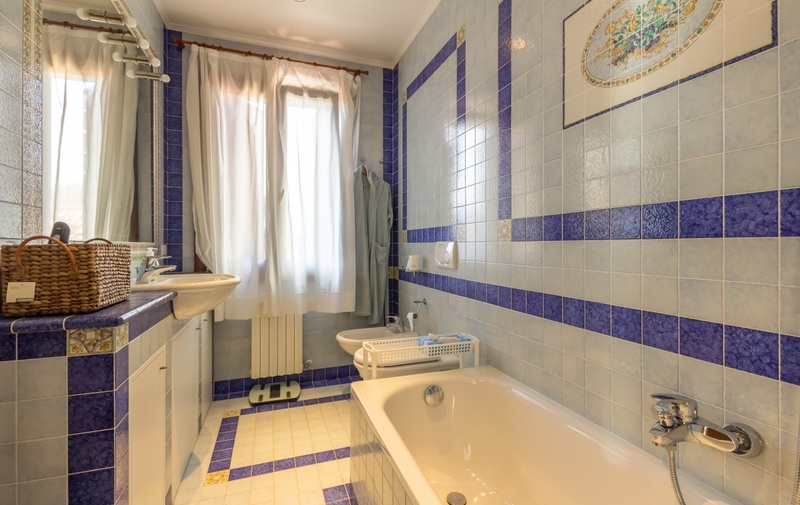 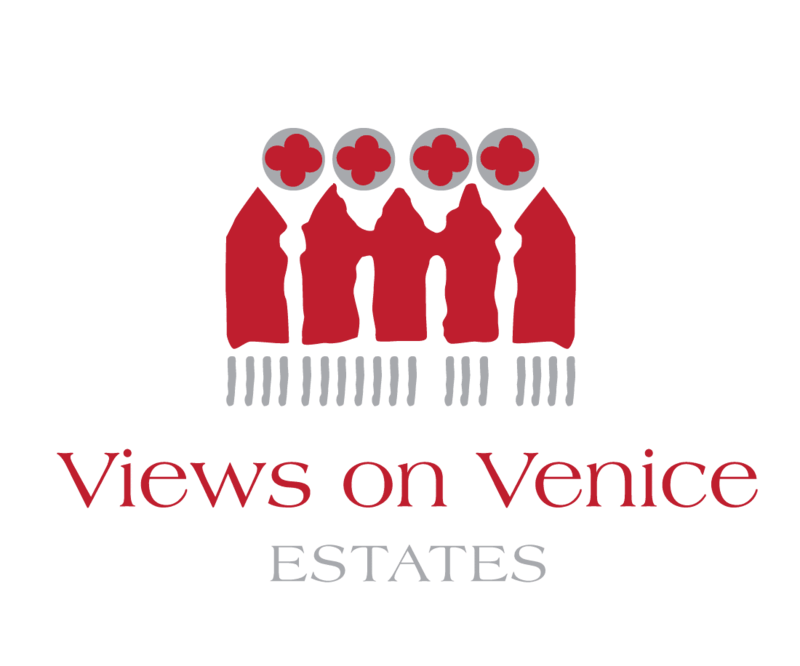 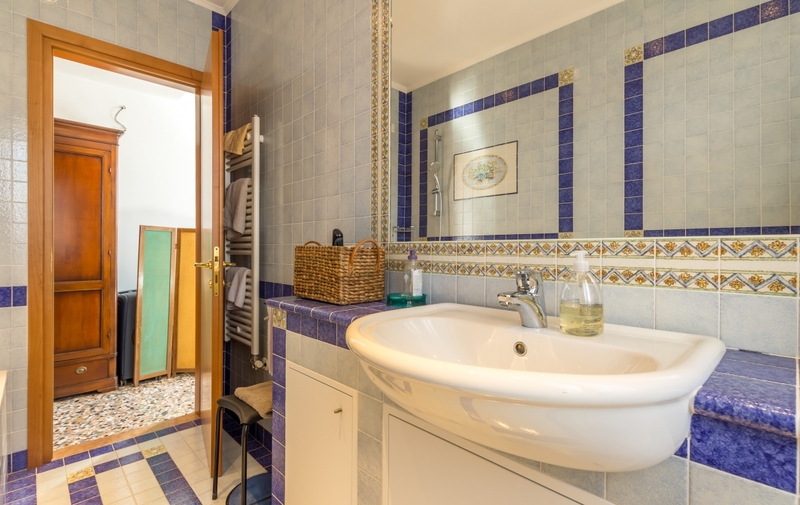 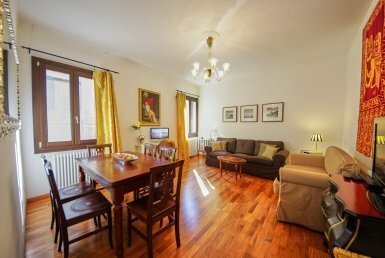 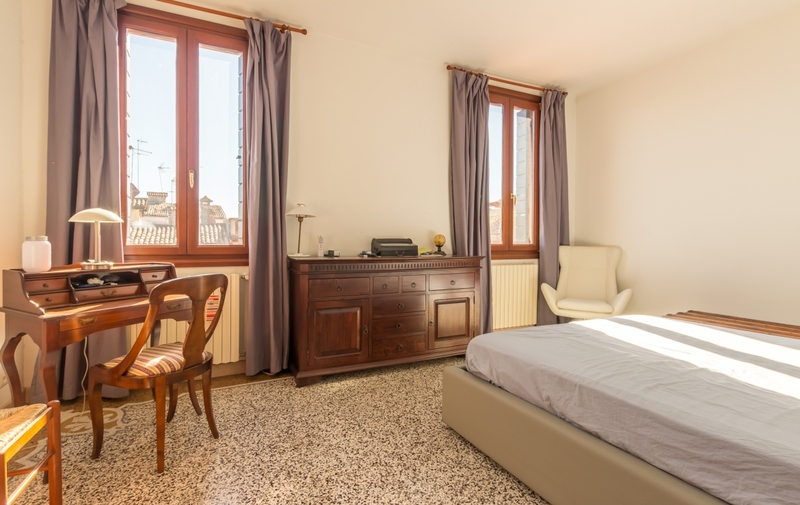 Both rooms are wide and enjoy a pleasant view over the quiet canal of San Vio. 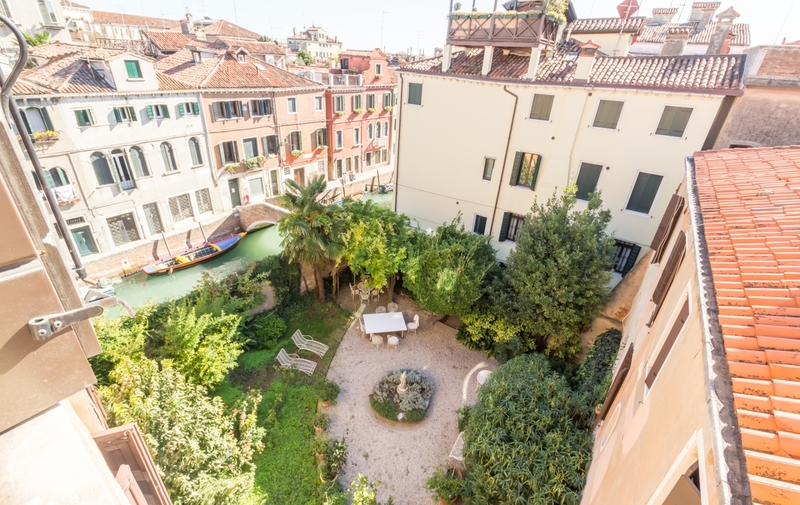 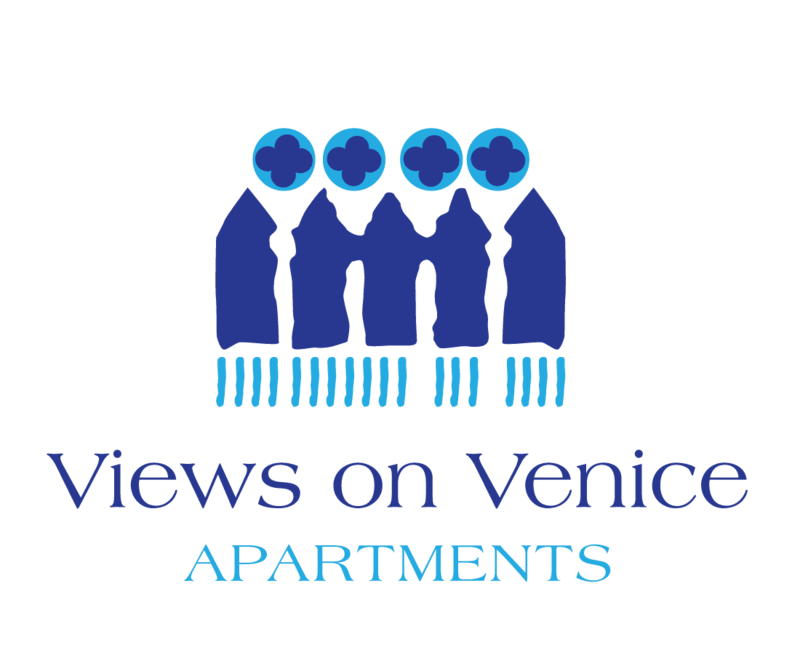 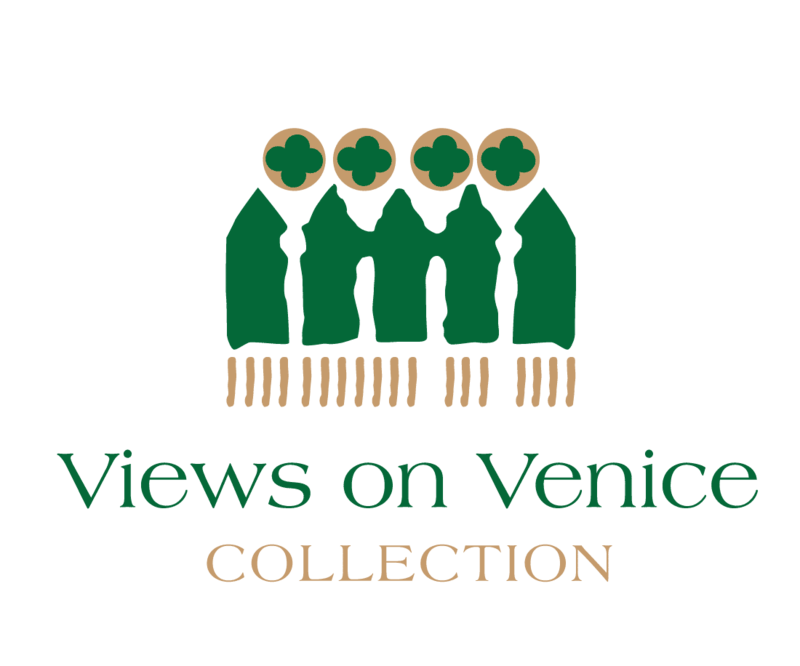 The apartment is situated in a refined and peaceful residential Venetian neighbourhood close to the Peggy Guggenheim Collection and the Francois Pinault’s Punta della Dogana Museum of Contemporary Art and the Zattere waterfront, that is considered one of the most wonderful promenade in Venice for its enchanting view and for the pleasant cafés and restaurants fringing the water’s edge. 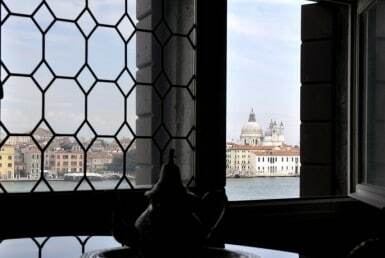 The two ‘vaporetto’ boat stops of ‘Accademia’, and ‘Zattere’ are close, and the immediate area is well served by a number of shops and high quality restaurants like ‘Linea d’ ombra’, ‘Riviera’ and la ‘Piscina’.